Fees associated with filing industrial design applications in Finland, as well as other design fees, are available in the fee calculator. The deadline for filing industrial design applications in Finland claiming conventional priority is six months from the priority date. The restoration of this term is possible. - when the applicant is not the inventor, the applicant must prove his title to the design. Multiple design applications are possible in Finland. The validity term of a design patent in Finland is five years from the date of filing. On request of the applicant, it may be renewed for five-year periods up to a maximum 25 years protection term. For the design that is a part of a complex product and is used to restore the original appearance of the complex product the maximum term of protection in 15 years from the date of filing. 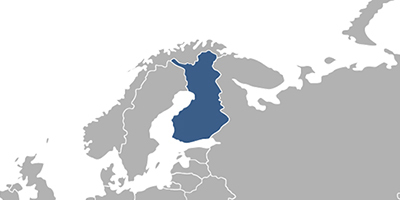 The substantive examination of a design application in Finland is conducted automatically in due course. No specific request should be filed. The POA is not obligatory for design filings in Finland. A copy is sufficient. The submission of the priority document is not obligatory but preferred for design applications in Finland. 12 months from disclosure of information about the industrial design before the filing of the application or priority date thereof, in case of claimed priority, does not disprove the novelty of the industrial design according to the Finnish legislation. The official grant fee must be paid within two months from the office invitation. The renewal fees must be paid within one year before the expiration of a current period of registration at the earliest and six months after the expiration at the latest. For foreign applicants, it is necessary to perform the industrial design prosecution in Finland through an agent, a patent attorney registered in the European Economic Area. The design patent in Finland may be obtained for the objects that determine the appearance of the whole or a part of a product resulting from the features of, in particular, the lines, contours, colours, shape, texture or materials of the product itself or its ornamentation. 1. Online Search databases: Finnish Designs, Community Designs (EUIPO), International Designs. 2. Industrial design protection in Finland may also be obtained via registration of a Community Design.